The Knutsford Court Hotel, formerly Sutton Place Hotel is a hotel located in Kingston, Jamaica. In 2002 The Sutton Place Hotel was acquired from Renmote Mews Limited by Kevin Hendrickson, who had previously acquired The Courtleigh Hotel & Suites. Hendrickson then embarked on a venture to transform the property into a new hotel and was able to accomplish this in just over 11 months. 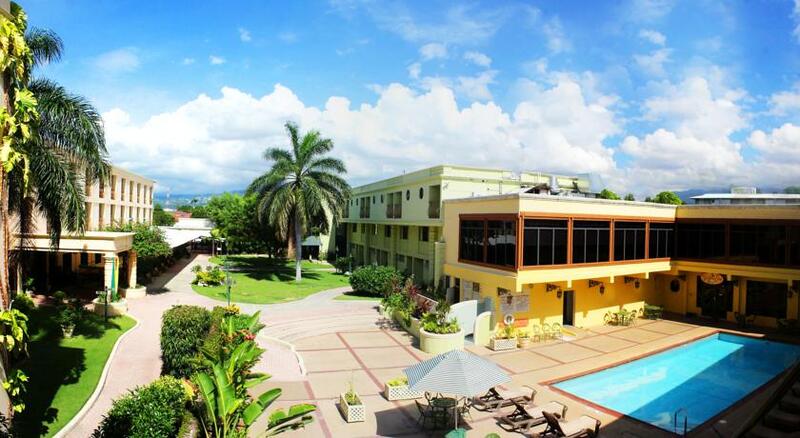 The Knutsford Court Hotel is located within close proximity to the financial and commercial area in New Kingston and approximately 15 miles from the Norman Manley International Airport. This location is in close proximity to the Bob Marley Museum (1.9 miles), Devon House Great House (1.2 miles), Emancipation Park, Hope Botanical Gardens, Centre Stage Theatre and Mandela Park (1 mile). The Knutsford Court features 143 rooms and suites featuring Standard rooms, Superior rooms, Junior suites, One-bedroom suites and Two-bedroom townhouses. The hotel consists of a restaurant, an outdoor pool, a pool bar, private gym, games room, private garden court, a 24 hour business centre, and a 24-hour fitness centre. There are 7 meeting rooms onsite with the largest accommodating up to 300 persons. All 143 rooms offer free WiFi and free wired Internet, direct-dial telephones with voice mail, electronic key-access, view ports, work desk, hairdryer, refrigerator, cable television and in-room safe. All rooms are air-conditioned. The hotel offers free buffet breakfast, free WiFI in public areas, free self parking and designated areas for smoking. The Melting Pot Restaurant & Lounge : Serves breakfast (breakfast buffet included in hotel rate), lunch and dinner. Lobby Cafe : Located just off the Front Desk. The Knutsford Court offers just over 10,000 sq. feet of meeting and banquet space.